This was taken in Shanghai. Can't remember what area exactly (maybe Xintiandi? ), but I was just strolling around the street looking for interesting things. It immediately caught my attention due to the almost alien like crop circle characters. It says: 快樂瑪麗安 (simplified: 快乐玛丽安), which means "Happy Marianne". 瑪麗 is Mary. However, it's interesting to note that they didn't use the correct full translation of the transliterated name and kept it "Marian". 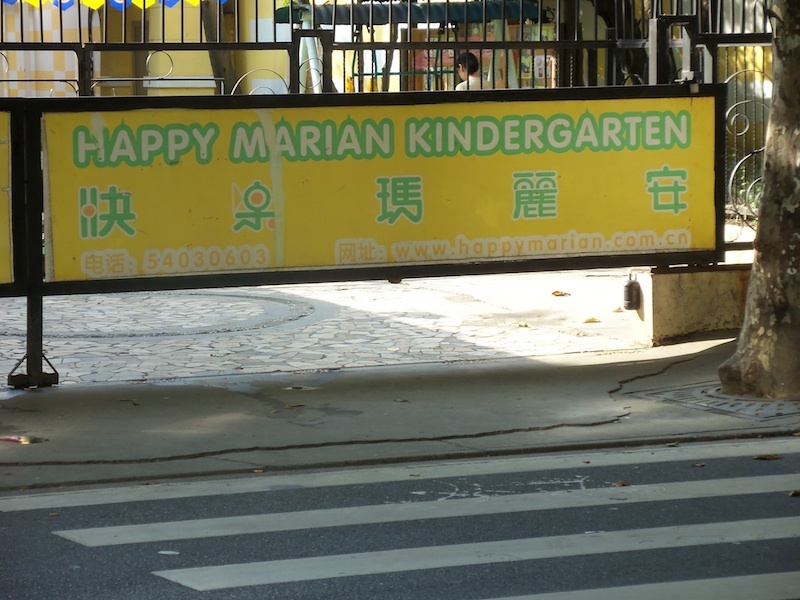 Before I could figure out that Marian was indeed the name "Marianne", I wondered why they used "丽" for the "ri" syllable as that syllable does exist in Chinese. Then I realized, that transliteration is meant to imitate sound not form. So 丽 is closer the "ri" sound in "Marianne". This is quite an obvious one, but cleverly done. 新蛋商城 has been cleverly modified to add an "egg" in the character 蛋. What I find more interesting is the combination of 新 going into 蛋 almost forming a ligature of sort. The 新 also looks a like lizard with a tail, right? 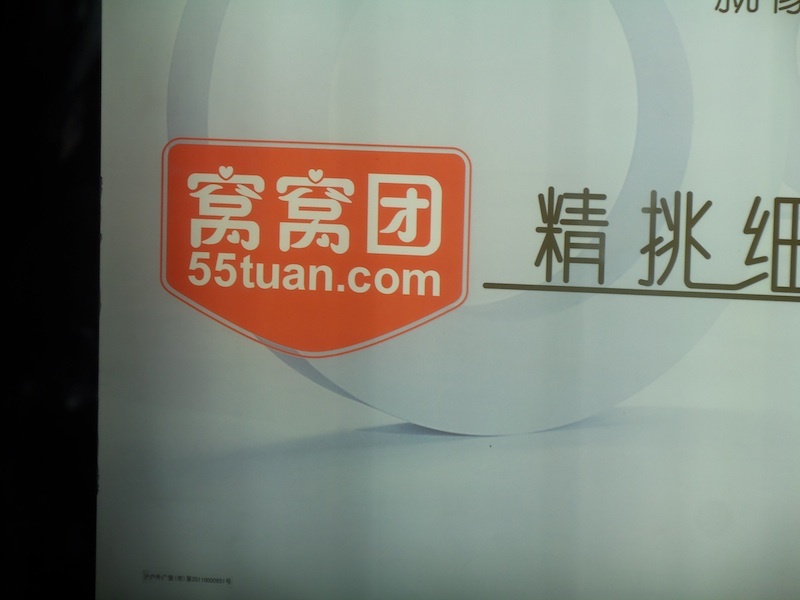 55tuan is a group buying site in China. Their logo seems to love hearts! The characters are 窝窝团. Note the use of 55 that resemble the pinyin "wu" -> "wo". This is a common in Chinese names, to use numbers as sounds. Like the popular job site 51job.com -> "Wo Yao Job". 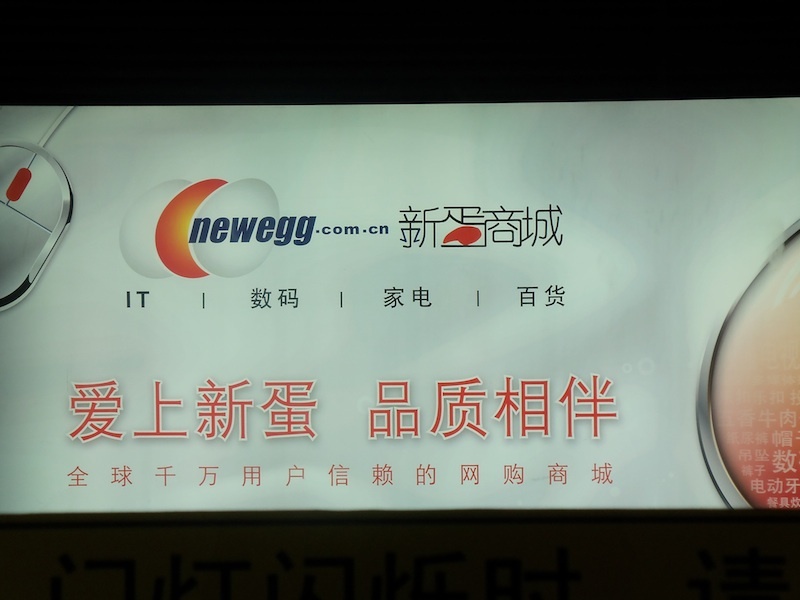 I'm not exactly sure as to what 窝窝 would translate into. If anyone can help me here it would be great? Nest? Den? 团 is mean "group". I just like the way they changed the strokes into hearts. Clever! Not exactly a modern sign, but I found this in the Shanghai Museum. 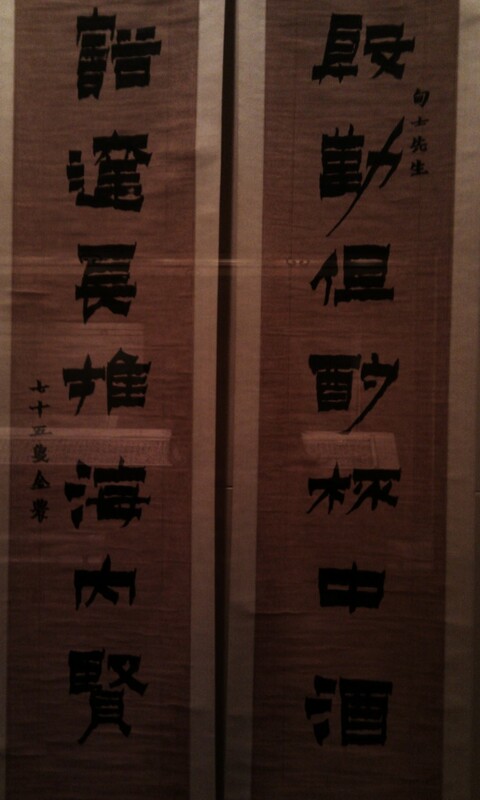 They had a whole wing on Chinese calligraphy. This was the short-lived lacquer script. It was different from other styles at the time. Notice the strong thick horizontal lines? Quite cool. I can't wait to live in China. I'd be on the hunt for interesting characters in the wild all the time. Have you seen some interesting characters?